2015 Season: The fish are now in year 4 of the re-branding, which included the new Miami vice uniforms, and of course, the Art Deco ballpark. Owned by a truly shameless and parsimonious individual who refuses to take advantage of what could be a big sports market, this mercurial franchise has not made the playoffs since that Championship they won in 2003. This year they brought in some serious names to provide leadership and stability to the locker room when they hired Don Mattingly to be Manager and Barry Bonds to be hitting coach. This is Barry’s first job since his bloody and bruised retirement. The Marlins over the years have had random spending sprees that would create the illusion that they were trying to be more competitive, but now that you can’t really “buy” a ring as easily anymore, they have subsided. 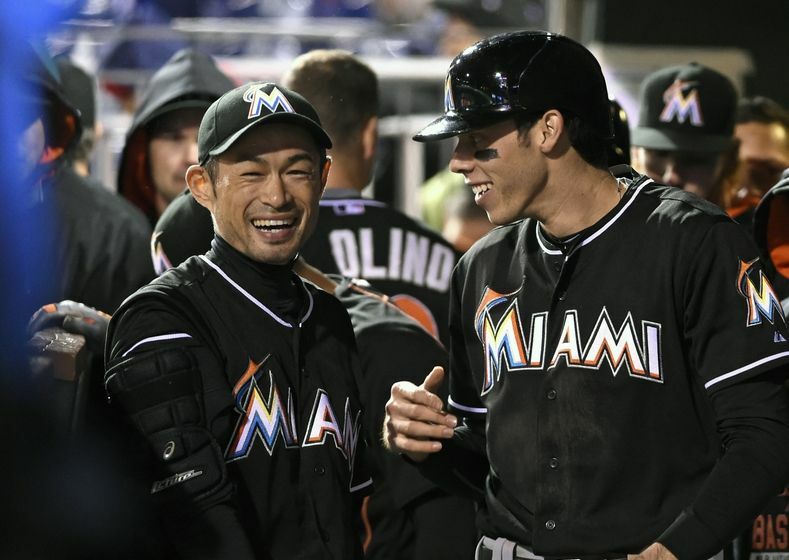 Last year, many thought the Marlins would surprise people and win in the mid-80’s and contend until late in the season. Obviously that didn’t happen in 2015 because the Mets were better than anyone imagined, but the individual components that contributed to that positive outlook of 2015, also apply to this year as well. Most of the young Marlins who won an ahead-of-schedule 77 games in 2014 either took a step forward in 2015, or stayed the same. Nobody really regressed, and for that reason I think the Marlins could be a .500 team in 2016. Pitchers like Wei-Yin Chen who “graduate” from the AL East are typically seen as stronger free agents due to the 15+ starts they have to make against the Jays/Sox/Yanks lineups in a given year. After his yeomen’s work in Baltimore, Chen was brought in on a $93 MM deal to be the number two starter for the next 5 years. It’s pretty cool that we have gotten to a point where 93 milion is a bargain for a #2 starter but that’s what this is, and Chen’s pitch repertoire should age very well. Other than that random July 2010 No-Hitter where he still managed to walk like 7 guys, Edwin Jackson has been a ‘meh’ kind of pitcher ever since he broke in as a 20 year old in 2003. Last year though, Jackson moved to the bullpen for the first time in his 13 year career, and thrived. 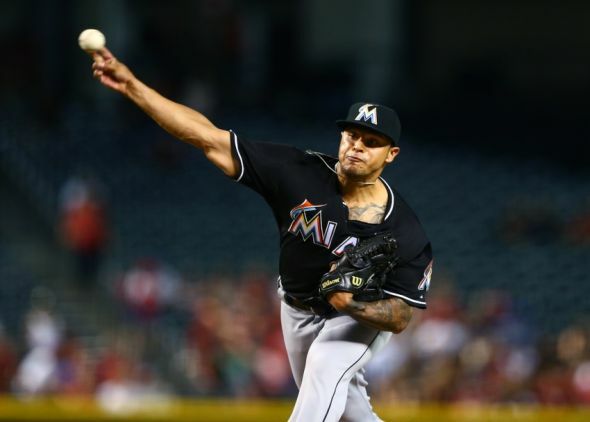 The Marlins will see if he can come in and be the number 5 starter. There are young and intriguing contingency plans (Hand, Nicolino) if he can’t. Chris Johnson should be a decent bat off the bench, but not much more. This one I think will make the Fish look dumb. For those of you who don’t know, Henderson Alvarez threw a no-hitter on the last day of the 2013 baseball season, and although nobody noticed because it fell on a Week 4 of the NFL, it set him up for an All-Star 2014 campaign. That year, he sported a 2.65 ERA, and impressive command for a 23 year-old (1.6 walks/9 innings), but then he tore up his elbow and missed 2015 entirely. As a result, the Marlins non-tendered him, and he walked to the A’s for a laughable one year $4.5/MM deal. 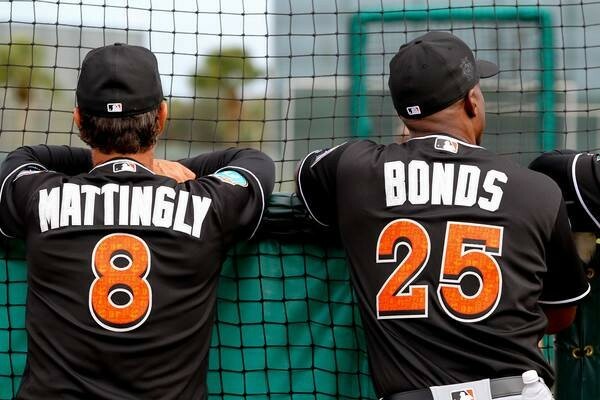 NOTE: The Marlins have pulled in and lowered the fences for this year! I think most major league teams should do this for reasons I have stated before, but this is big. They’ll be 7 feet tall instead of 11.5 in left and right field, and they will be moved in all around from 5-7 feet depending on location. I don’t think Gordon hits .333 like in 2015 and steals 58 bases (he’s a bad man) but he will continue to be an elite lead-off man in the game and should hit .300 with over 40 steals and 20 doubles and 15 triples. 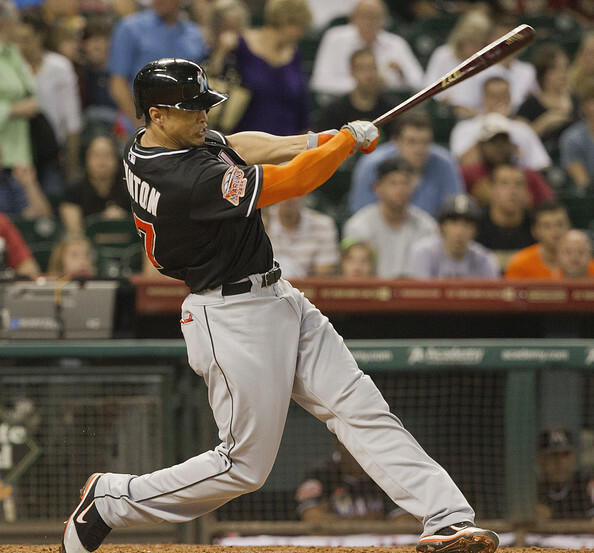 Meanwhile, Stanton, to put it simply, is one of the brightest young stars in the game, but he needs to stay healthy. The fastball to the face was admittedly a freak injury, and it’s the reason he wears that Bane mask thing now, but other than that he’s had other injuries that made him miss significant time too. The case for the Marlins winning 90 games this year begins with Stanton and Gordon being the best 3rd hitter and lead-off hitter respectively in the game. 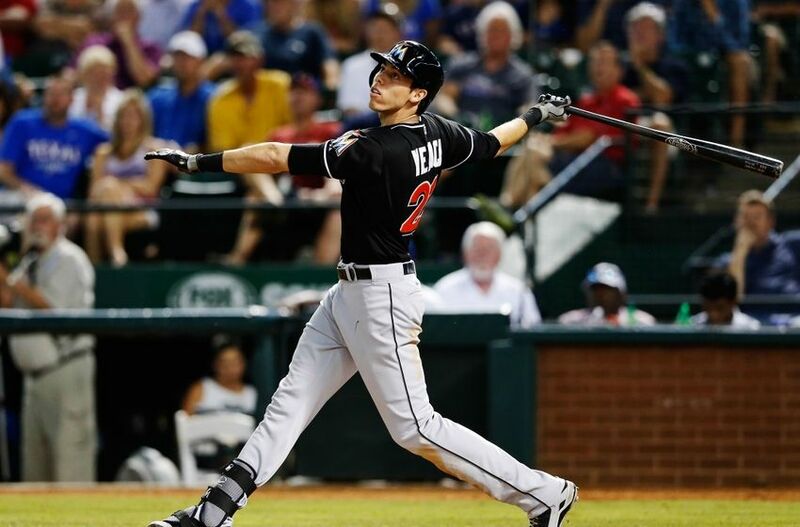 Yelich and Ozuna are two young guys the Marlins are banking on taking the next step. Yelich probably has higher earning potential over his career because of his superior swing, he’s a .290 career hitter through age 23, and has gotten better each year. Problem is he weights like 135 pounds soaking wet and has zero power. Ozuna is more tools-y but less consistent. Both are incredibly young and bonafide Major League starters at the very least, and possibly more. Martin Prado is his solid old self in the 5-hole, and should continue to be a tough out. Lastly Justin Bour has tons of raw power but not much more. After hitting 23 home runs in that spacious park last year though, he has the chance to really rake with these pulled-in fences. Chen and Jackson are acquisitions I talked about earlier, and Fernandez is a legit ace and on the very short list of the best (and most exciting pitchers) in baseball. He can throw 100 MPH, throw 4 different variations of a slider and has impeccable command. He returned from Tommy John last season and had a 2.92 ERA (good for a 133 ERA+) in 64 innings. Still only 23, he has been around since 2012 and is going to dominate hitters for years to come, so long as he remains healthy. Koehler, the New Rochelle native, was decent last year (95 OPS+ against) and many see him as s future, or even present number 2 starter. lastly, Cosart has dealt with injuries but has legitimate upside. NOTE: Carter Caps threw out his elbow. That’s the guy with the weird delivery who jumps off the mound, you know him. He has been filthy for the Marlins since 2013. He won’t be around this year. Ramos went 32-for-38 in save chances last season and very quietly has a 2.62 ERA (147 ERA+) in 223 2/3 big league innings over the last four years. Barraclough, pronounced “bear claw,” had a 2.59 ERA (152 ERA+) with 30 strikeouts in 24 1/3 innings after coming over from the Cardinals in the Steve Cishek trade. Mike Dunn is a great lefty out of the pen to have, and former Yankee David Phelps has experience as both a starter and RP. Among those competing with Ellington for an Opening Day bullpen spot are Urena, Conley, Kendry Flores, Scott McGough, Raudel Lazo, Dylan Axelrod, Paul Clemens, Dustin McGowan, and Chris Narveson. These two guys were both highly touted prospects, and they have shown good things so far. When young players break onto the scene before 24 and hit at an above league average rate and don’t regress the next year, you are in business. If they take the next step and Stanton stays healthy and drives them in all year this team can contend into the second half. HBT’s Prediction: I think the Marlins will win 82 games. I like the young pieces more than most do, especially Yelich, and think that he, Bour and Ozuna are setting up a scary core here in Miami. Stanton is due for his “Babe Ruth” season that we got from Harper last year, and if he stays healthy we can see it. 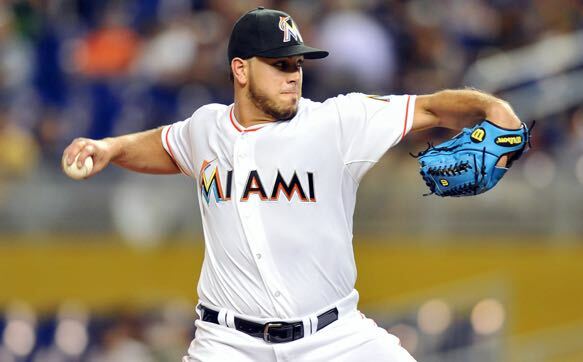 Fernandez will also win the Cy Young.